The people at Skydive Philadelphia were amazing. Very friendly and accommodating. We started off with a weather hold due to a very cloudy morning! They say there and entertained us while we waited. Then when it was time to go they were very energetic and understanding to every different need. I recommend getting the video if you're going to do the jump it makes it an even more unforgettable experience!!! Great job guys you will see me again! Skydiving has been on my list to do for the past few years & I'm thrilled to have accomplished it already. Skydive Philadelphia was the perfect place to attempt my first jump. The outcome was amazing, truly an unforgettable experience! I can't thank the staff and of course my fantastic instructor for one of the best moments of my life! Can't wait to be back next year! Have been skydiving at Skydive Philadelphia twice and both times were amazing! The tandem is a blast and the instructors know their stuff! I came here for my first time skydiving. It was the greatest experience I could ever imagine. The staff here is kind and calming. They go above and beyond to ensure you are safe and are enjoying your experience. 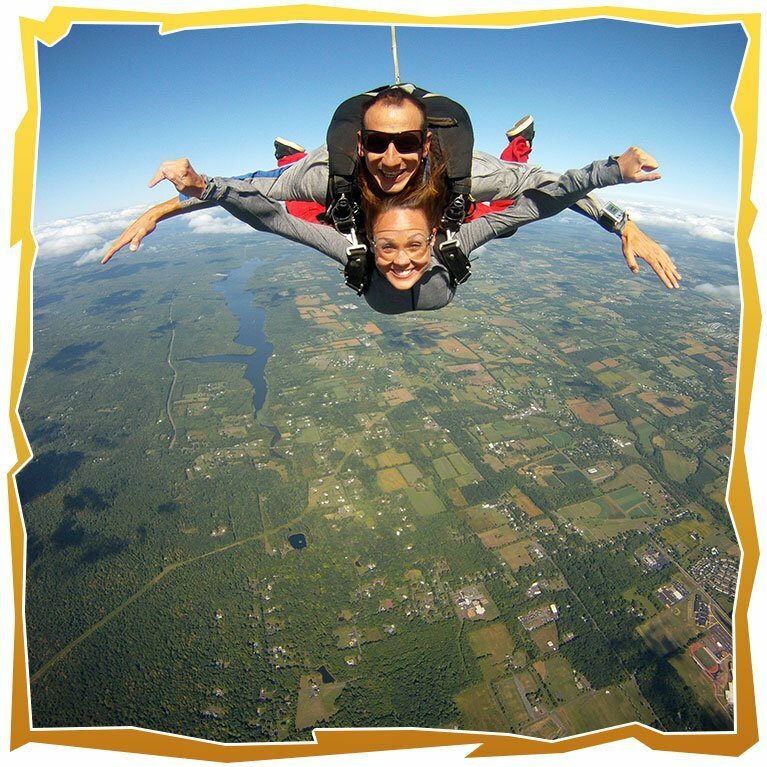 If you're ever thinking of skydiving, I would definitely recommend Skydive Philadelphia!